FACTORY MEDIA has been going to great lengths to make the cycling press attractive at retail level in the past year. 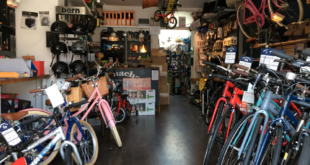 With the launch of ‘retail packages’ and the publication of annual photography issues, as well as marketing campaigns, the aim is to get customers in bike stores to pick up their magazines. By placing stands on the counter, Factory Media hopes to put money back into the pockets of the industry. 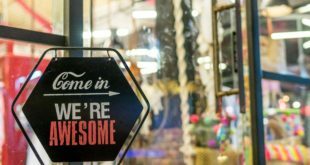 The thinking behind the scheme, according to editorial director Mark Noble, is that by giving the customer a reason to visit regularly, the store owner will forge a relationship and thus generate other sales. The retail package offered by Factory Media effectively pays for itself, should the store sell its copies. And even if you don’t shift them all, the low cost advertising will, without doubt, pay for itself. Noble adds: “I’ve no idea how our sales team are paying our wages with this deal, but it seems like a total score to me. As far as I know, this deal is for life, so if I was a bike shop owner, I’d jump on it now. Ride BMX Magazine recently published its second annual photo edition, an entire issue based around capturing inspiring shots, which reflect and promote cycling as a sport with a touch of culture. To attract greater numbers to cycling, the activity must first become attractive. And with cycling being plugged as the answer to many of the nations ills, it seems the media has an easy task, right? put together something that we’d like to take home ourselves at the end of the day and read; something that we’re really proud of, a real team effort – and that’s what the photographers are into doing,” says Noble. “Our magazines have a little extra edge compared to some other sports magazines out there – a touch of the lifestyle if you like, because we are living it ourselves. Our photographers, too, live the bike life – so it’s bound to be a bit more cultured than just another mag that is put together by people who aren’t interested in the sport. TIME OUT LONDON devoted much of its April 17th to 23rd edition to cycling in the city. The magazine performed commuter tests, such as which method of crossing the city is fastest and least stressful. Needless to say, the bike won the race by over 20 minutes and came out as the least expensive and least stressful transport method of all. Other articles includes a complete letters page, based on points of view mailed to Time Out over the years. The letters displayed points of view, both for and against cycling and the cyclists themselves. Another is a double-page-spread based around bikes for purpose. Recommendations are made for various styles, including a Pashley Princess for the Classicist, a Kona Fire Mountain suited to all-round riders and the innovative Puma Glow Rider for the style conscious commuter.